Michigan's Oxford High School Choir. MICHIGAN'S OXFORD High School Chorale, and Claregalway's Coláiste Bhaile Chláir School Choir, will give a concert next week to raise funds for Enable Ireland. The concert takes place on Monday February 11 at 5pm in St Nicholas' Collegiate Church. 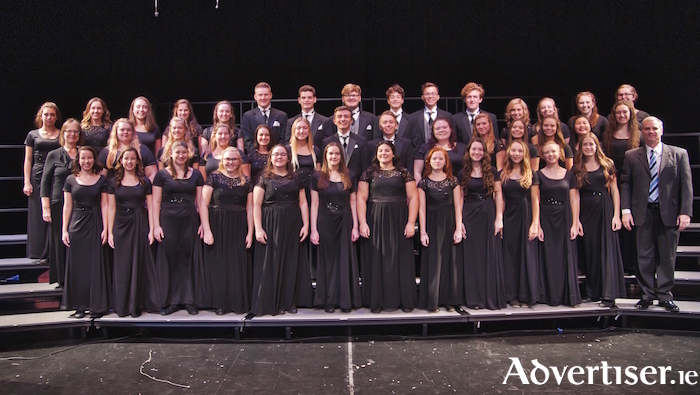 The Oxford High School Choir sings in all genres of chorale music, both classical and contemporary. The Galway concert will feature work by American composers, folk songs, African American spirituals, and popular hits. Coláiste Bhaile Chláir School Choir will perform traditional and contemporary Irish songs. Enable Ireland provides free services for children with physical and sensory disabilities and their families in Galway city and county. Core services include phyisotheraphy, occupational therapy, speech and language therapy, psychology, assistive technology, social work, hydrotherapy pool, and preschool. Admission is free. There will be a collection in aid of Enable Ireland.